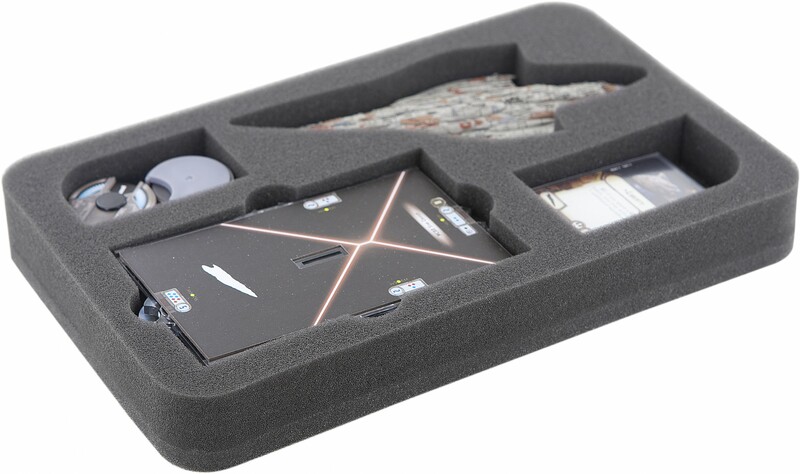 Especially for the Star Wars Armada Wave IV foam tray. 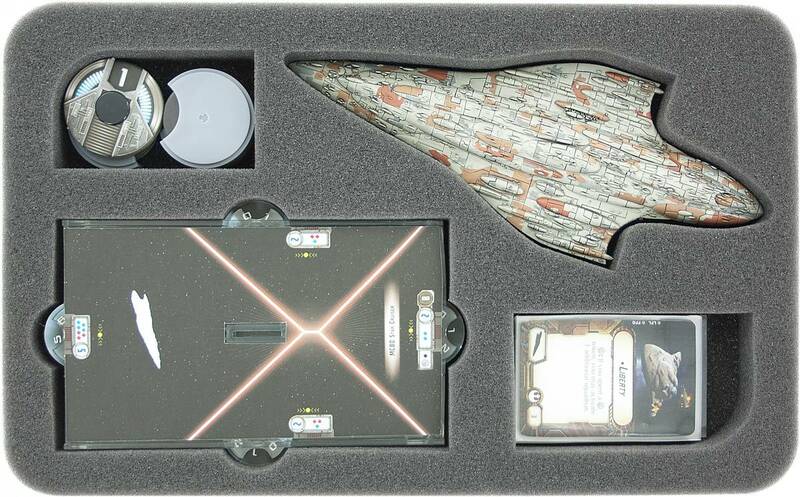 There is enough space to store one MC80 Liberty type Star Cruiser. In addition, there is enough space for Base, Commando and Speed Dials. 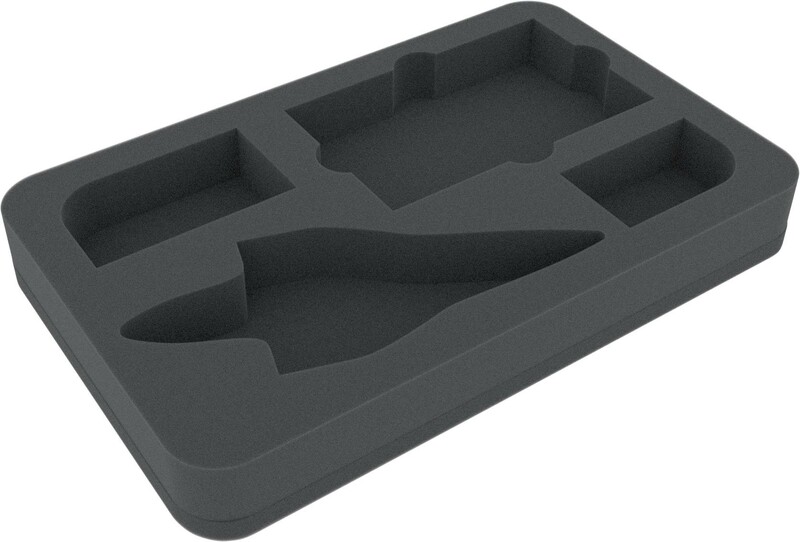 The 35 mm thickness for this foam tray is the result from 10 mm foam base and foam tray with 25 mm effective height.